It used to be that BMW had a simple product lineup. Heck, ten years ago BMW never sold a sport utility vehicle. But times have changed, and the latest rumors out of Germany indicate the X1 isn’t the only compact Bimmer crossover headed for production. 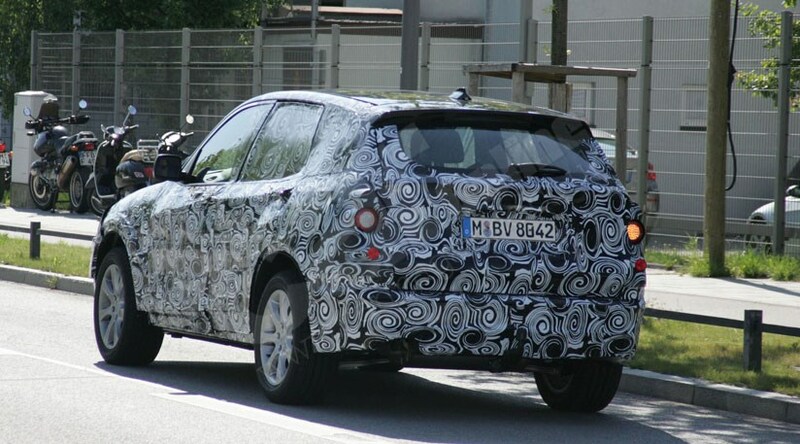 As it turns out, BMW is purportedly planning a “coupe” version of the X1 in the form of the X2 Sport Activity Vehicle. Just as the X6 is the “SAV” version of the X5, the X2 will be the X1’s fun-loving sibling. But there’s a slight twist: the X2 will also lose two doors, making it a truer ‘crossover coupe’ than the X6. With Audi’s Q3 rumored to have a three-door configuration, the X2 might end up being its nearest rival. The rumors began appearing in the German press this week, with Autobild Allrad reporting the story in its August issue. Specific details regarding powertrains and availability remain unclear. The most likely scenario is BMW will borrow engines and transmissions from the 1-Series lineup. 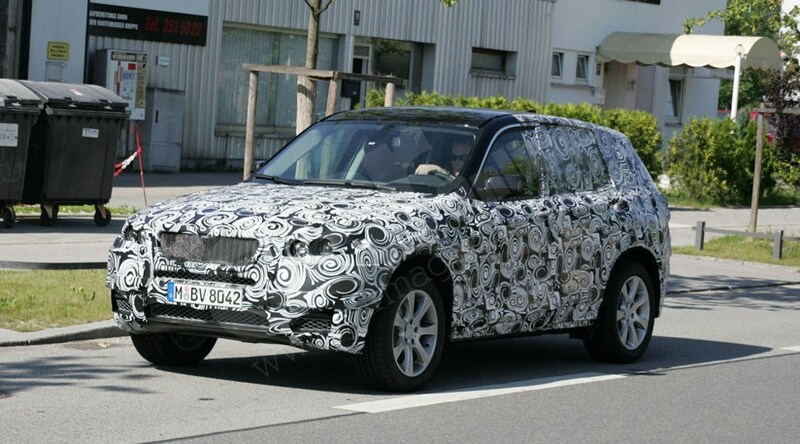 The X1 is expected to hit the market in 2010 with full time all-wheel drive, and the X2 could follow within the year. The overall size of both vehicles is said to be comparable to the Toyota RAV4. BMW knows how to court controversy – and this this top-secret X2 is likely to offend purists as much as a long-wheelbase, limo-spec M3. 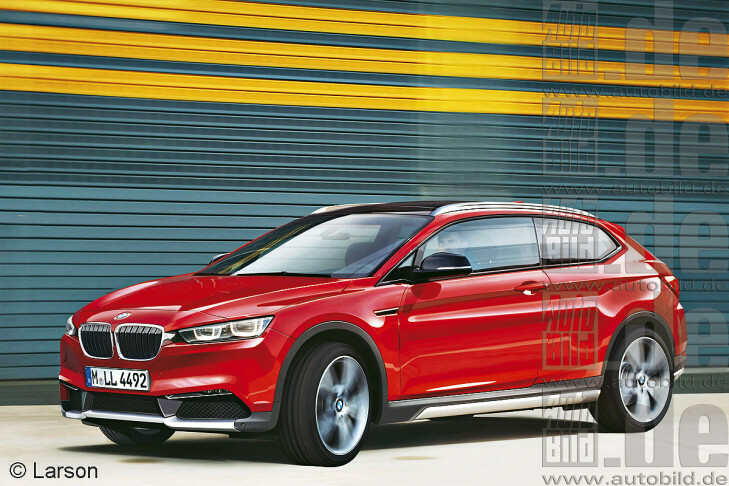 The X2 revealed today in our artist's impression is BMW's riposte to Land Rover's achingly hip LRX coming in 2012: a smaller, funkier 4x4 meets coupe. The X2 project is part of the new X1 family that we will – finally – get to see at next month's Paris motor show 2008. A concept X1 will be shown at the Salon de l'Automobile on 2 October 2008 ahead of a production launch in 2009. BMW is betting the bank on buyers continuing to downsize – and who'd argue with a company which gambled on the pricey but petite Mini? Munich will be the first premium manufacturer into the junior 4x4 market, enjoying at least two years' headstart over the upcoming Audi Q3 and Mercedes GLB. Which is why BMW is targeting 100,000 sales a year with its mud-slinging wannabe twins. While the X1 will be a relatively upright SUV – albeit shrunken – in the vein of the X3 and X5, the X2 depicted here in our scoop image prefers a more coupe-like profile. Think baby X6 and you're on the money. Our artist's impression is assembled with the help of moles within BMW and the spy photos we also publish today. 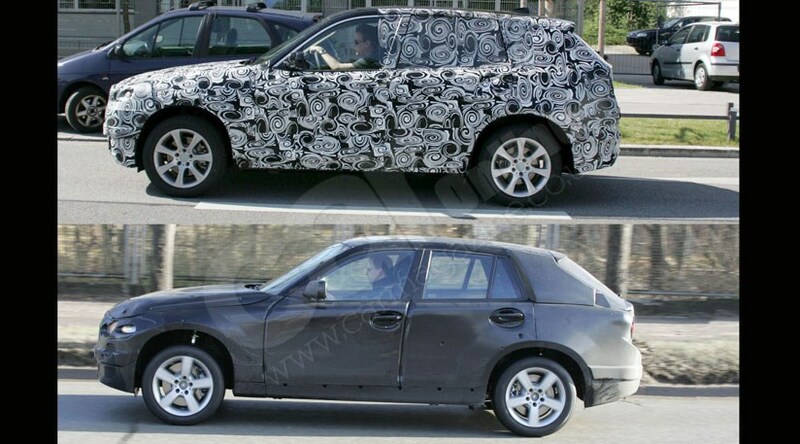 Just look at the comped-together shot of the X1 and X2 test mules, showing the faster angle of the coupe crossover. You read that right. The X2 is currently planned to be a two-door that combines a low-slung roof with the squat footprint of an SUV. Prepare for more shocking designs from that hornets' nest of style shocks, overseen by the lord of louche, Chris Bangle. X1 and X2 will of course share hardware under the skin, in much the same way that today's X5 and X6 are the same under their different metalwork. And if you want a clue as to their intent, check out their respective internal codenames: the X1 is the Sports Activity Wagon (SAW) and the X2 is known as Sports Activity Runabout (SAR). Both will be positioned above the Mini SAV (that's a Sports Activity Vehicle, acronym fans take note) which is due out in 2009. It's telling we'll also see a crossover concept for Mini's new 4x4 at the Paris show on 2 October 2008. And will this new generation of BMW small 4x4s cost the earth? Wake up! These are small BMWs, so of course they won't be cheap. The xDrive hardware will add €2500 (£2000) to the cost of an equivalent 1-series, which will donate much of the running gear. And that bespoke bodystyle is said to add at least €1000 (£800), so even the cheapest X1 is going to cost at least £19,000. And if you must have the coupe-cool of the X2 revealed here, bank on another £2000 again, thanks to the planned higher equipment level, better materials, wider tyres and that low-volume, bespoke bodywork. Are the X1 and X2 definitely happening? The X2 is very much on the drawing board but, unlike the X1, has yet to be given the green light. 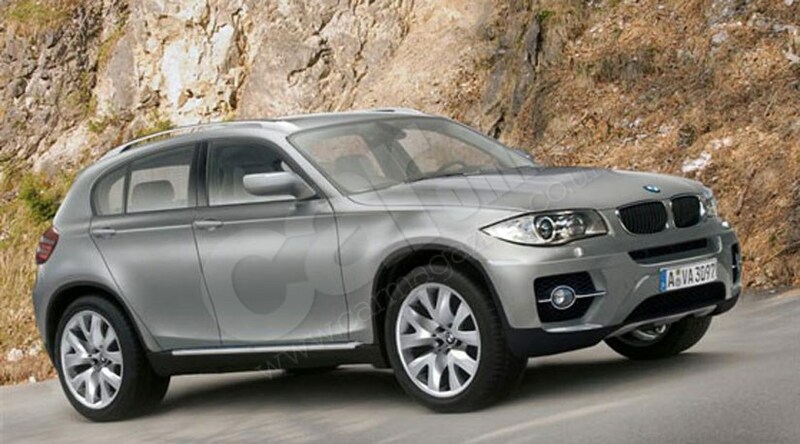 That decision will be taken in 2009, once BMW has had time to gauge interest in the X6 and the X1 concept. If approved, the X2 will roll into showrooms in early 2011.
thousand range of units per year. a fortune and the Mkt gets back, lol! PS: toss the idiot spammer/"KristenClarkson" in post preceding mine, por favor amigo.